With a contemporary look, the Business Class King room is meticulously planned for a comfortable stay. These upscale guest rooms feature a plush top mattress, stylish bathroom with granite countertops, microwave and a refrigerator. Enjoy the oversized desk, complimentary wireless internet access and dual line phone with speaker and voice mail capabilties. Relax and enjoy comfortable seating while watching your favorite shows and the LED flat screen TV. All rooms are smoke free. Please check with the front desk for designated smoking areas outside of the hotel. With a contemporary look, the Business Class Two Queen room is meticulously planned for a comfortable stay. 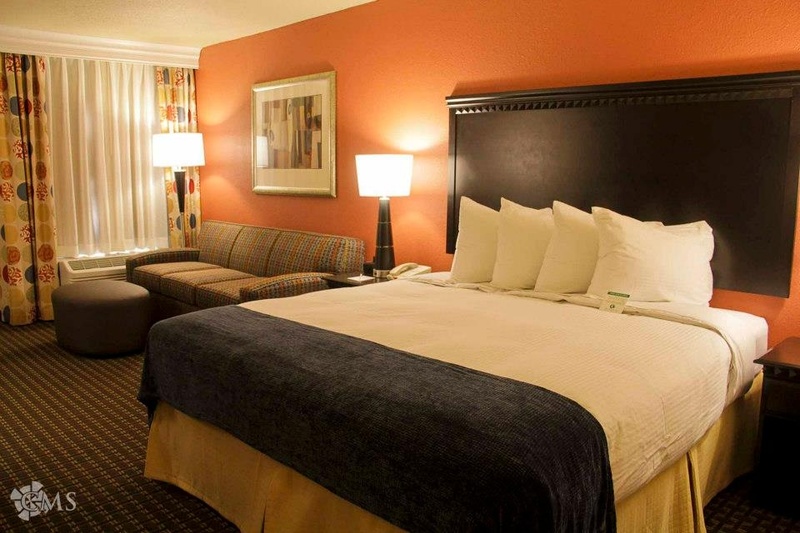 These upscale guest rooms feature plush top mattress, and a stylish bathroom with granite countertops. Enjoy the oversized desk, complimentary wireless Internet access and a dual line phone with speaker and voice mail capabilities. Relax and enjoy comfortable seating while watching your favorite shows on the LED flat screen TV. All rooms are smoke free. Please check with the front desk for designated smoking areas outside of the hotel. The Handicap Accessible King room has a comtemporary look. This room is meticulously planned for a comfortable stay. This upscale guest room features a plush top mattress, stylish bathroom with a granite countertop. 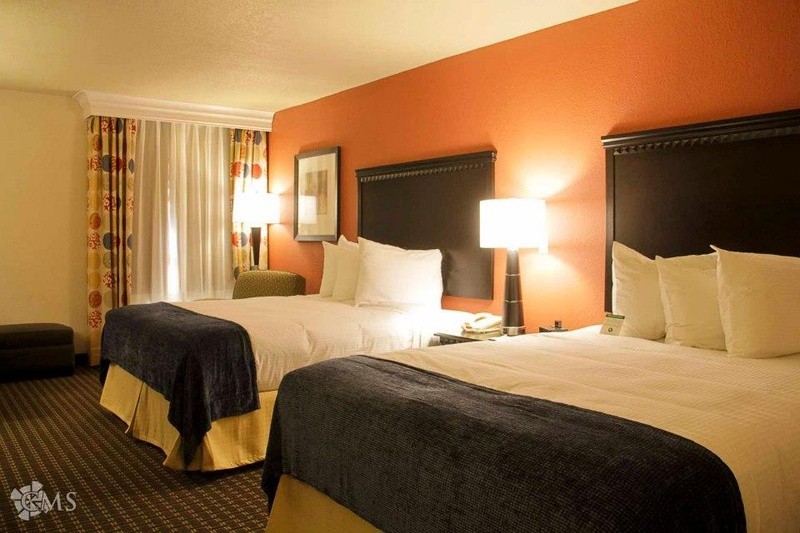 Enjoy the oversized desk, complimentary wireless internet access and a dual line phone with voice mail capabilities. Relax and enjoy the comfortable seating while watching your favorite shows on the LED flat screen TV. Wheel in shower and shower/tub combinations are available upon request.